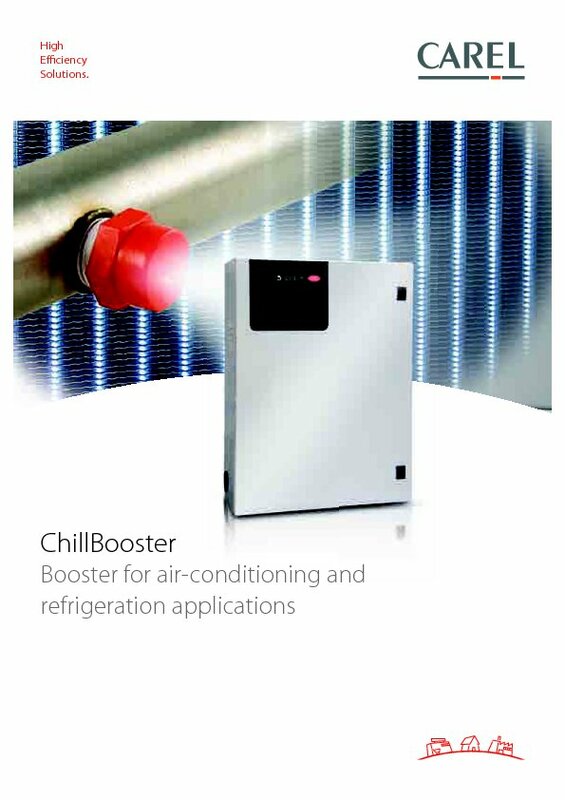 chillBooster is an adiabatic atomizer that uses evaporative cooling to cool the air before it is used by condensers, chillers or dry coolers. The atomization of water in micrometric droplets favours spontaneous evaporation, which takes away part of the thermal energy required for the evaporation itself from the surrounding air, lowering its temperature (each kilogram of water that evaporates absorbs 0.69 thermal kW from the air). Bringing the air close to its wet bulb temperature means that, during summer, its temperature is lowered by approximately 10-15°C with a consequent reduction of the workload required of the condensers, chiller and dry coolers, and therefore a significant energy saving in terms of spared electric kW.